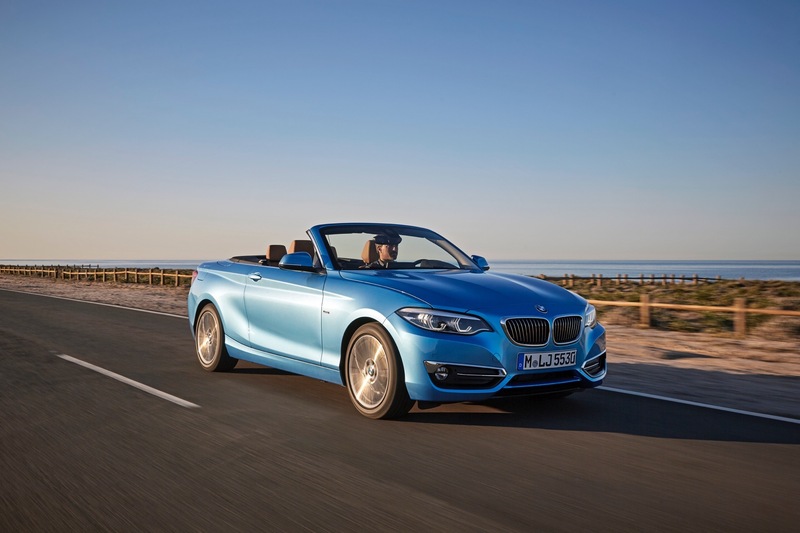 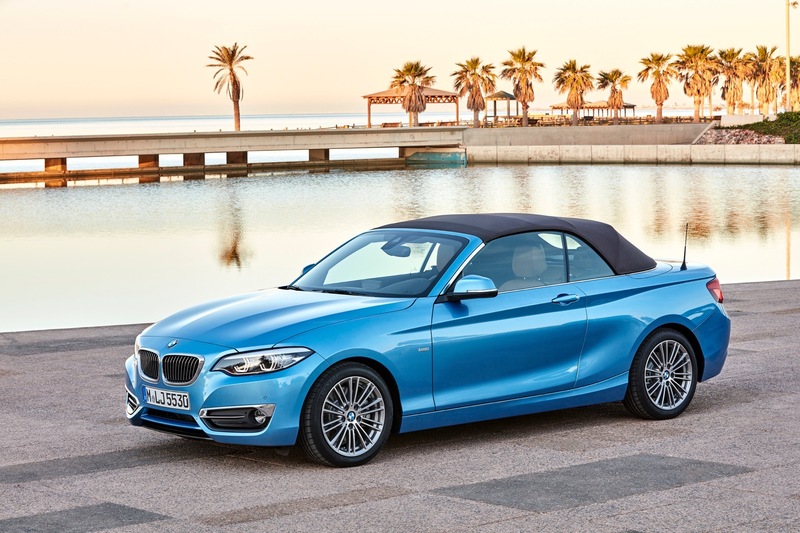 When the BMW 2 Series first debuted, it was a breath of fresh air for many Bavarian enthusiasts. 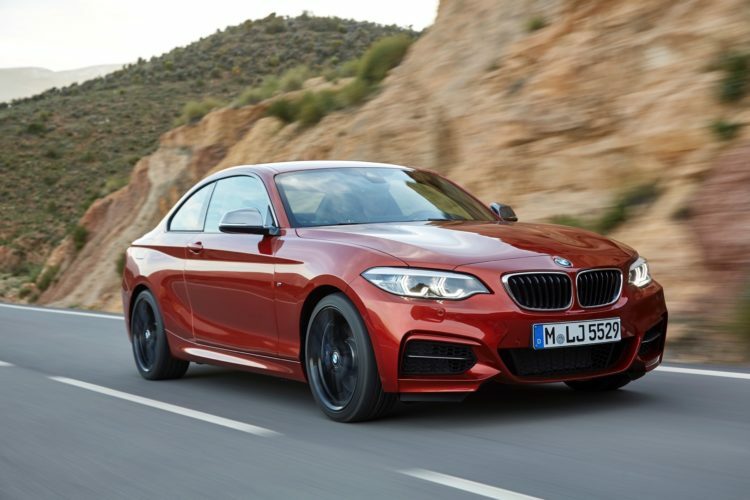 Its small size and classic coupe looks brought back memories of the E30 Coupe. 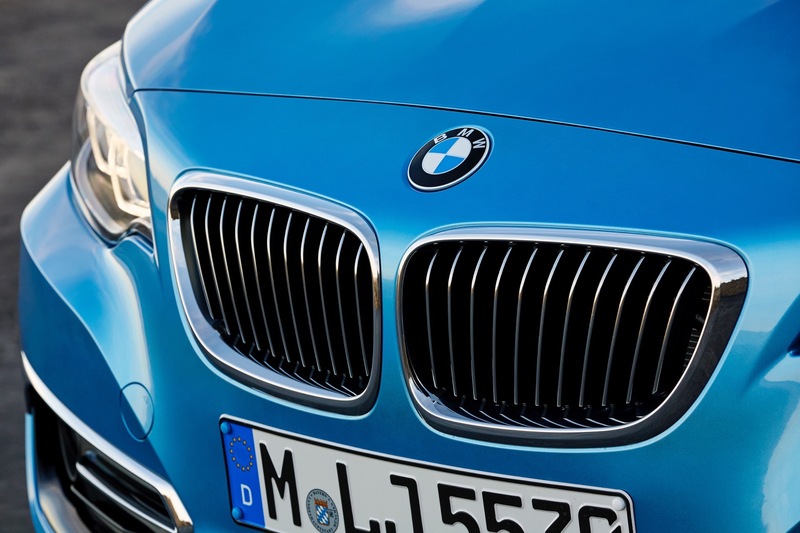 It was also one of the best looking BMWs in recent memory, simple and devoid of the frivolities of modern Bimmers. 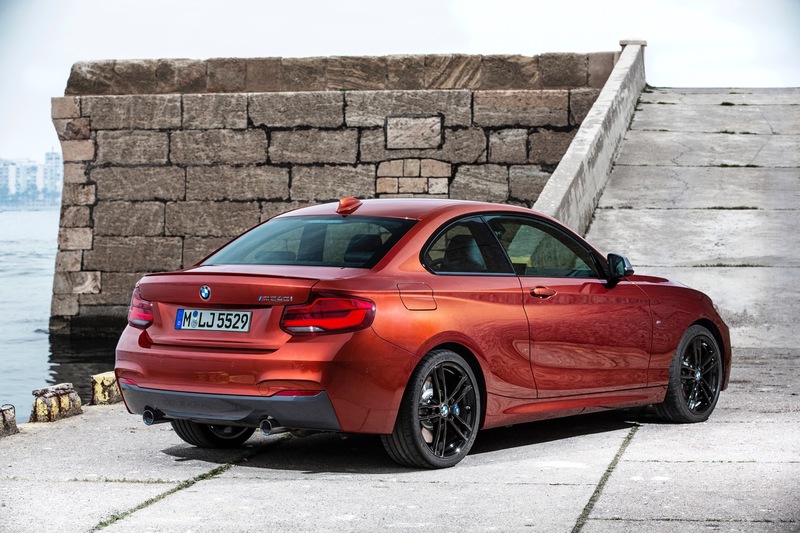 Even a few years into its model life cycle, the 2 Series is still on of BMW’s best looking models. 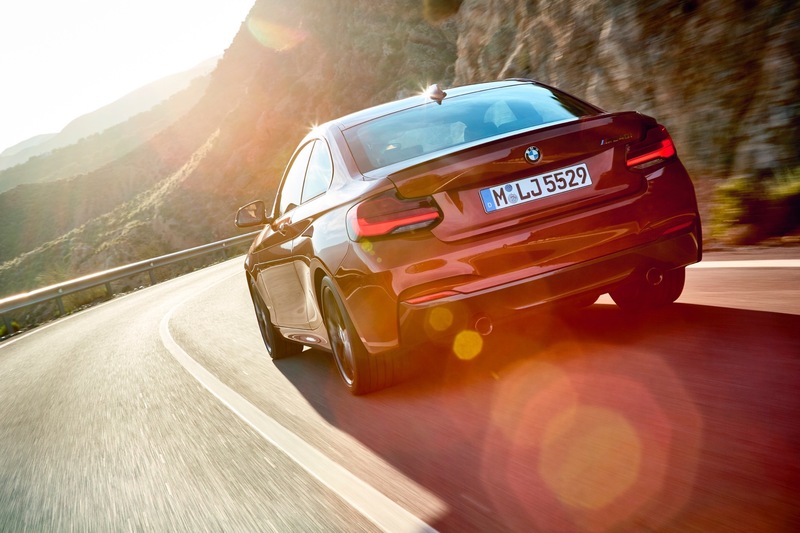 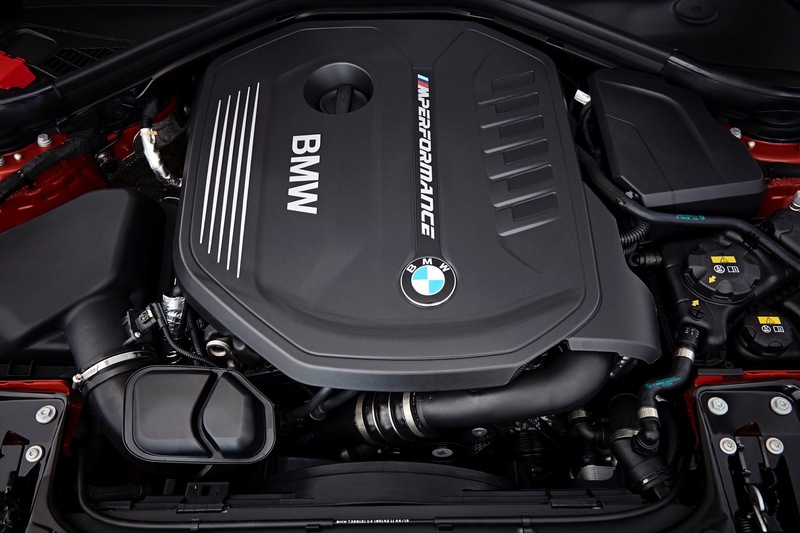 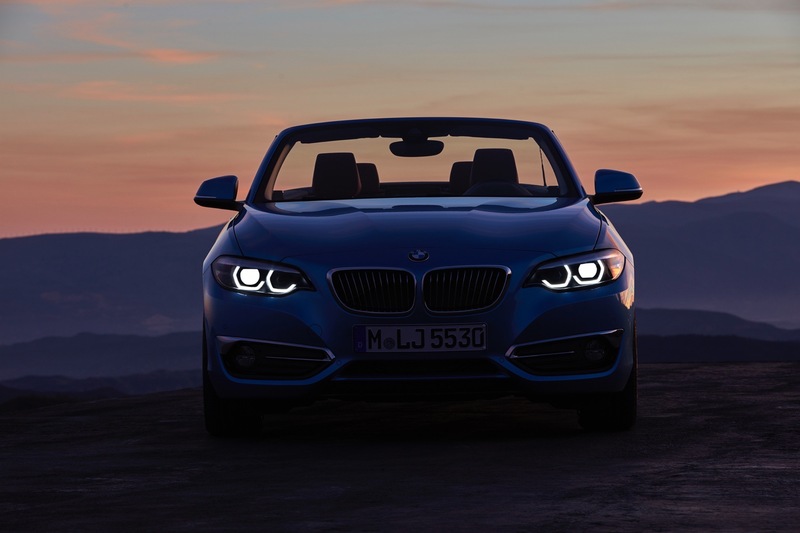 However, BMW isn’t one to just rest on its laurels, as every model gets a facelift halfway through its life cycle. 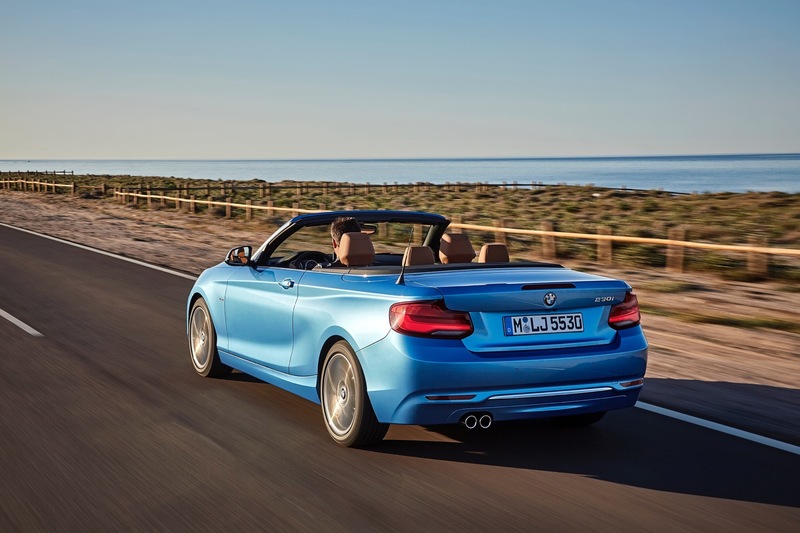 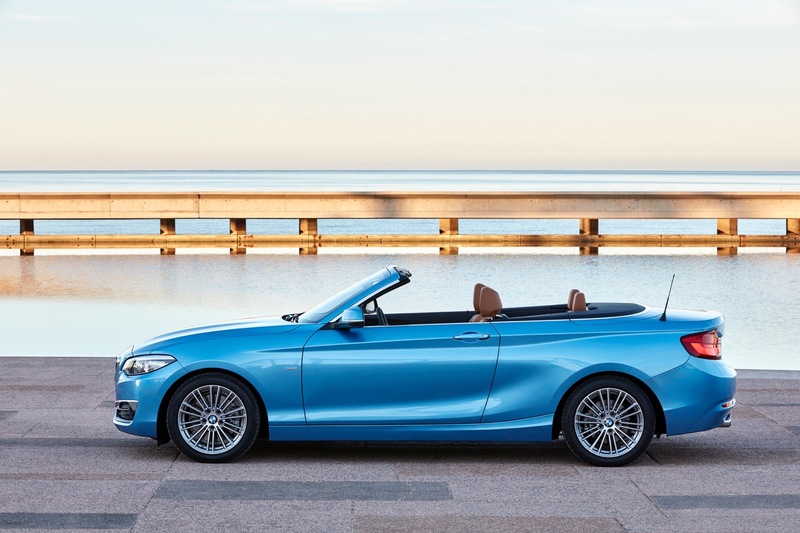 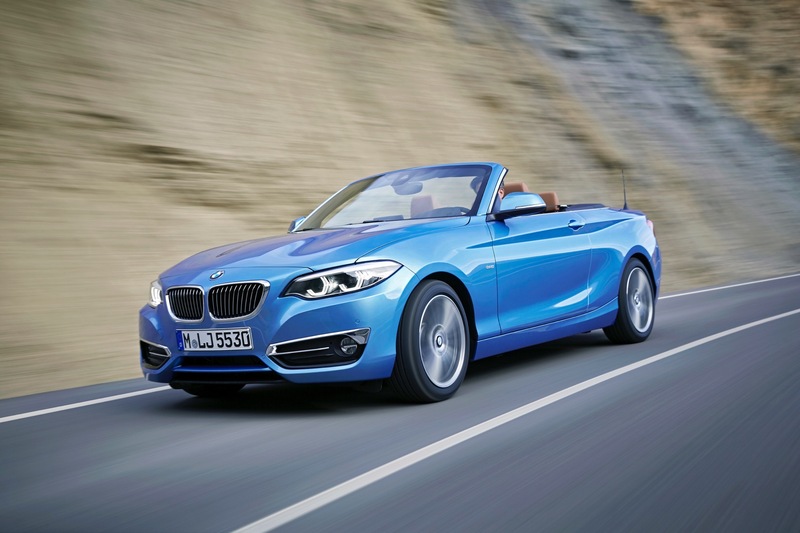 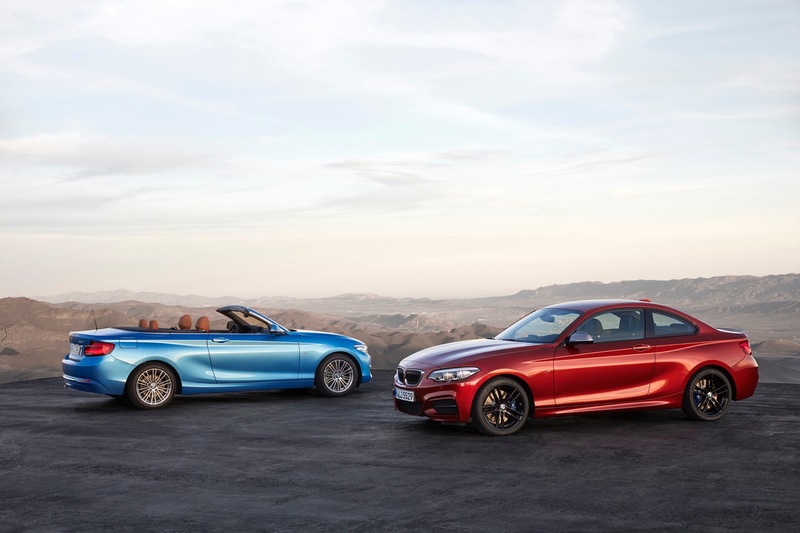 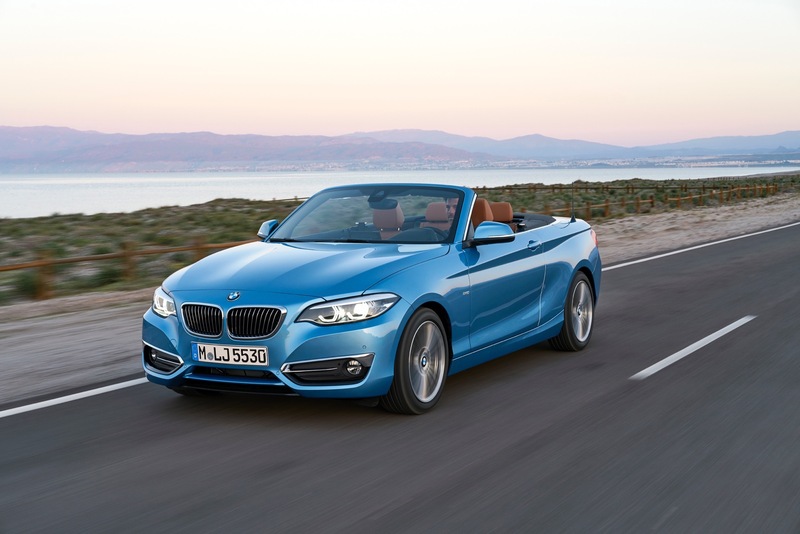 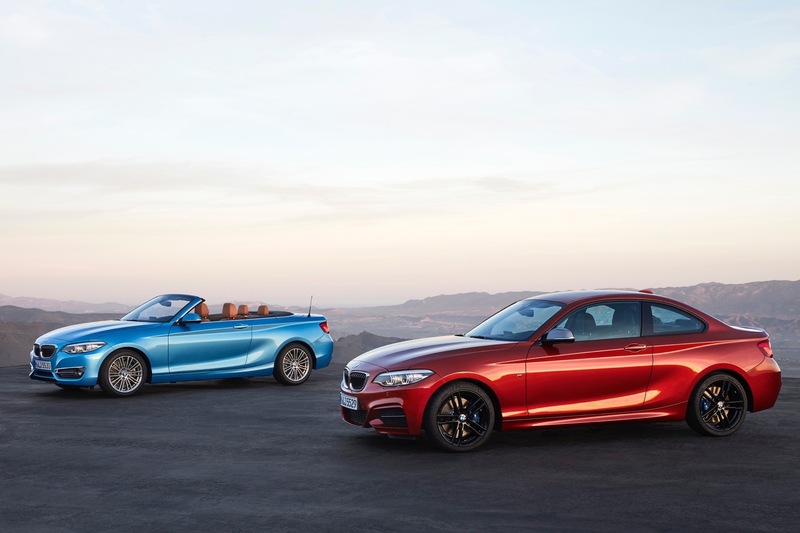 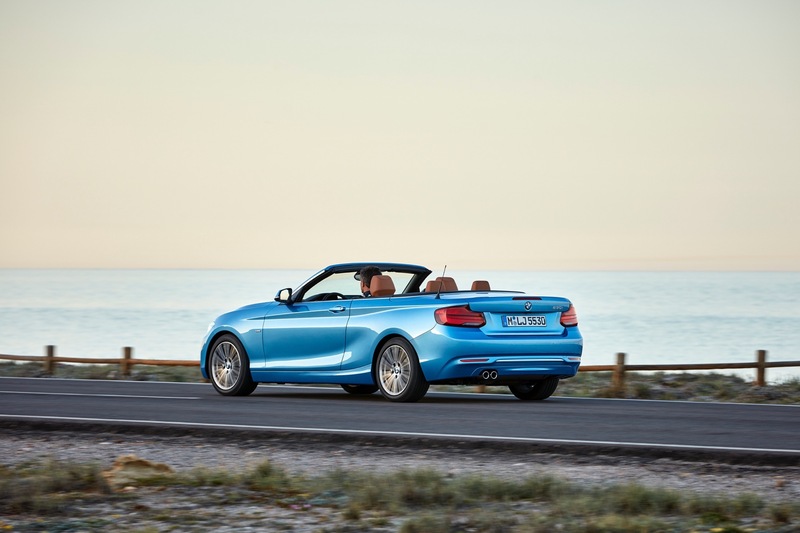 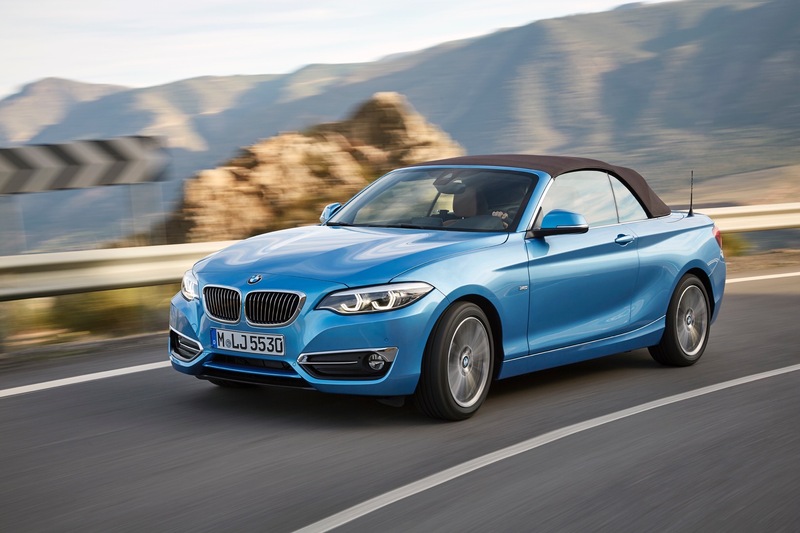 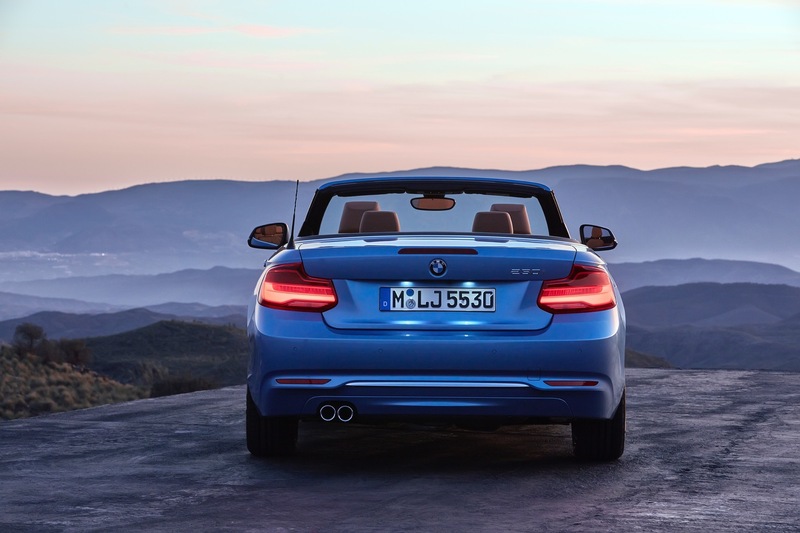 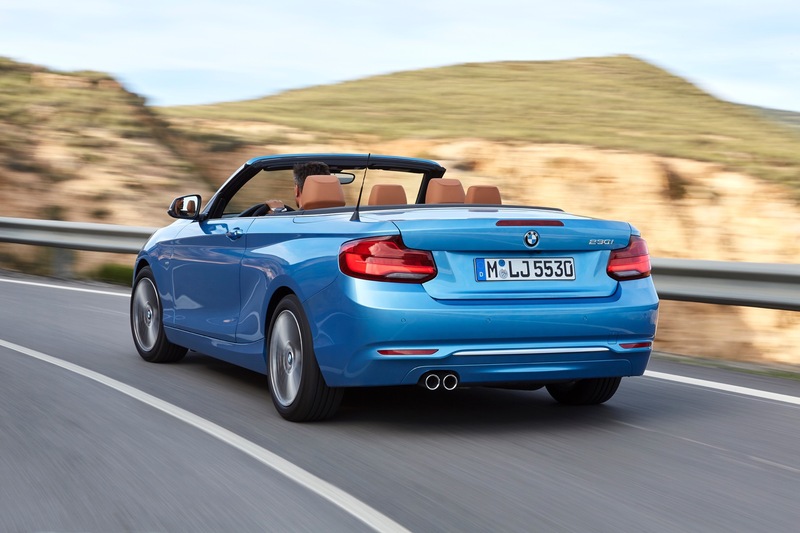 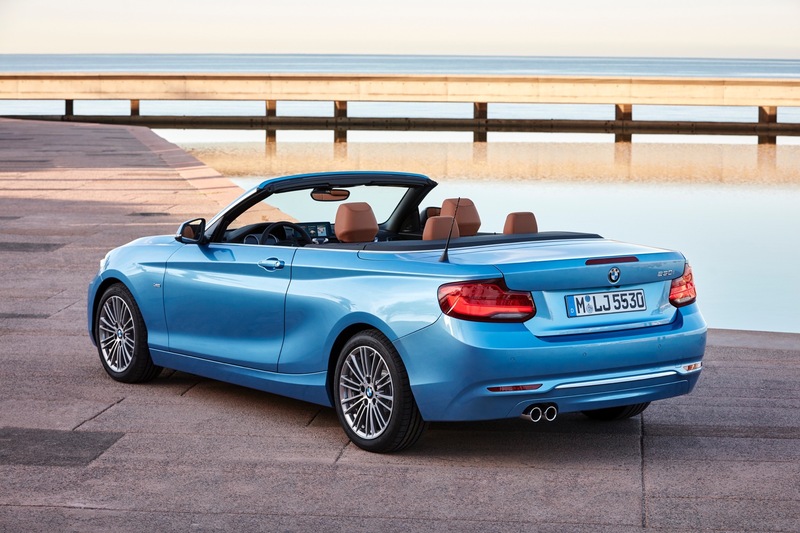 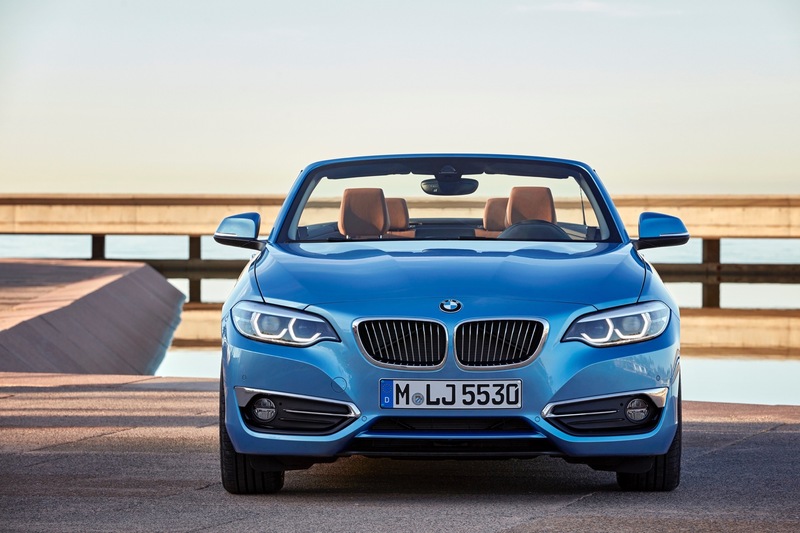 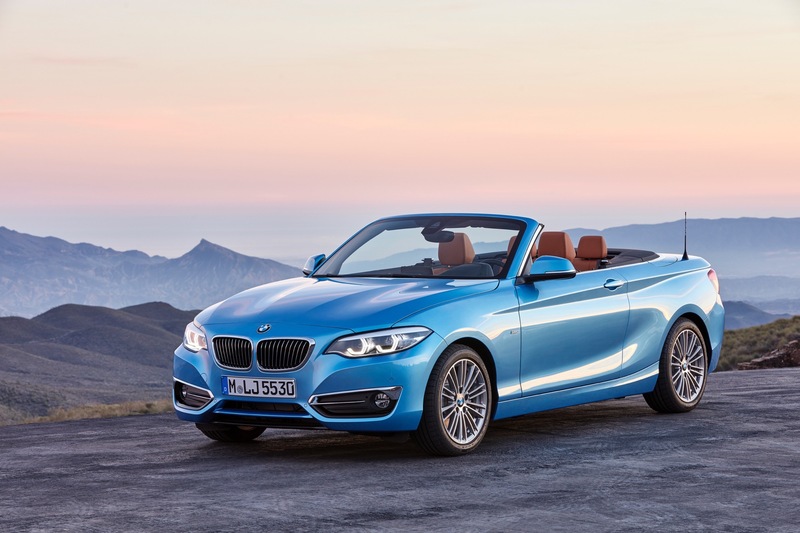 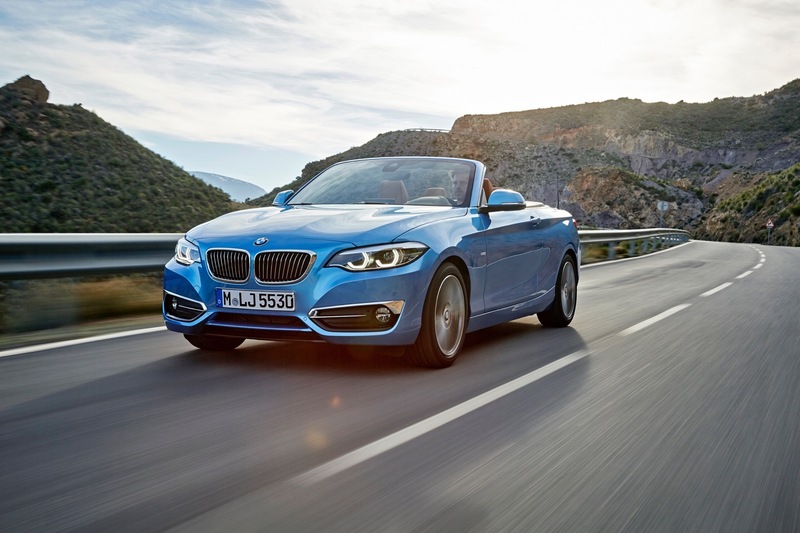 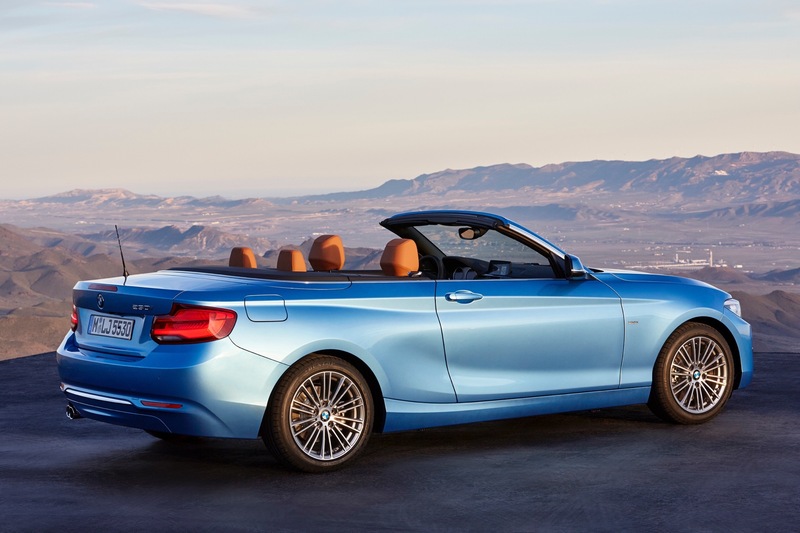 That time is now for the 2 Series Coupe and Convertible. 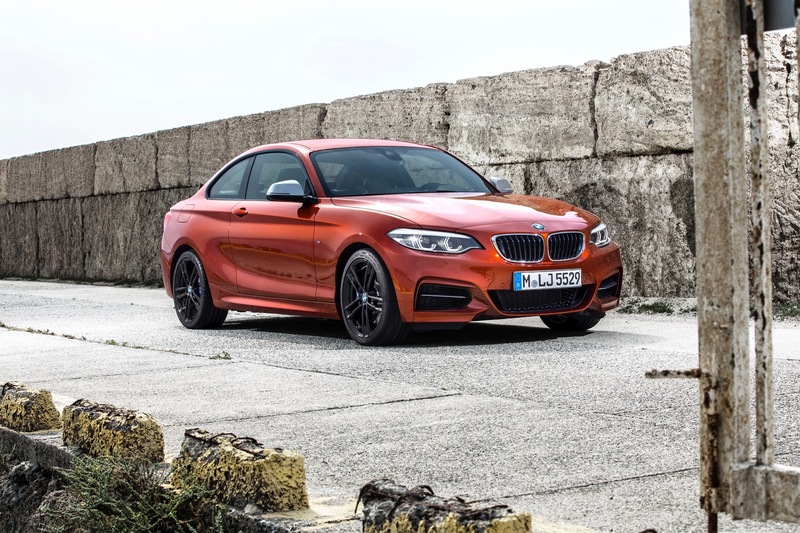 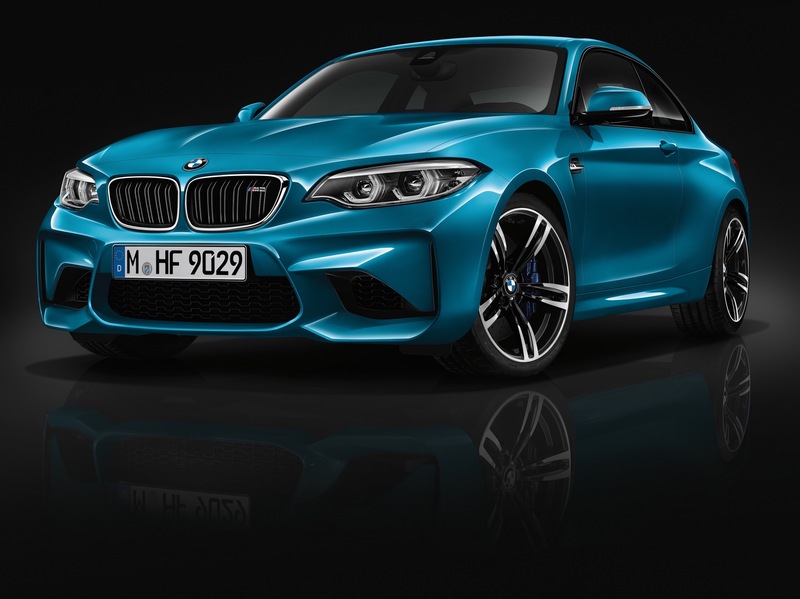 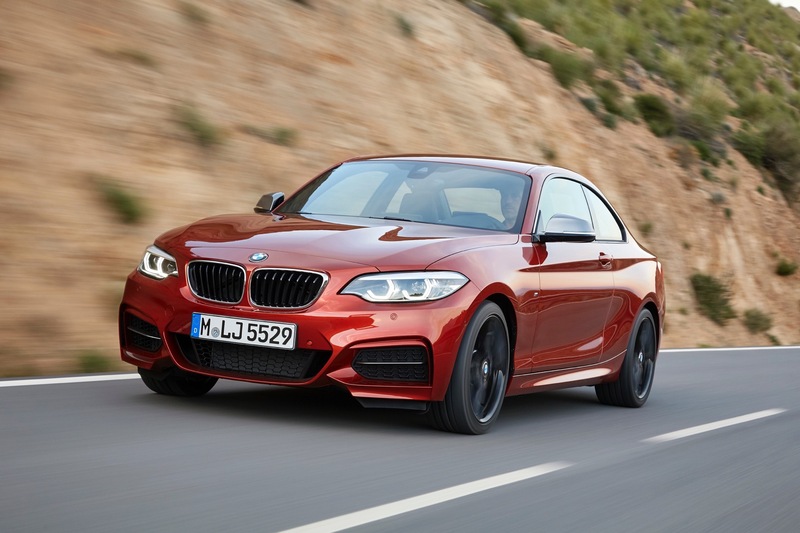 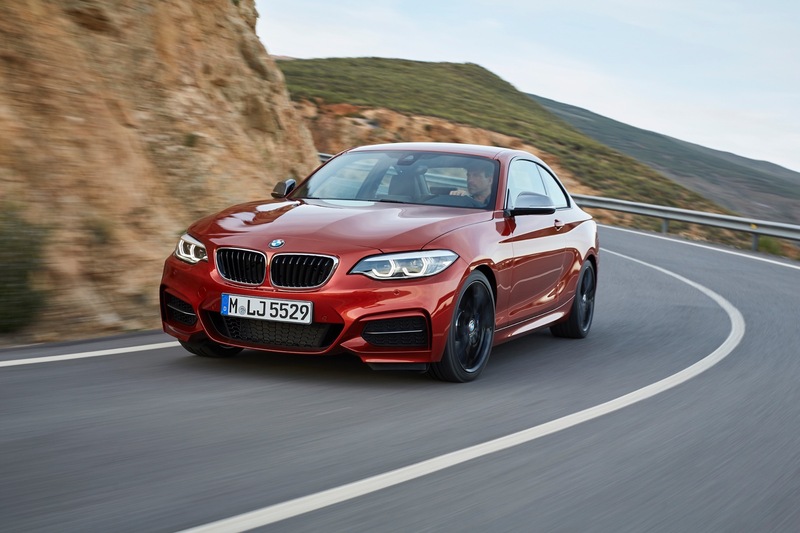 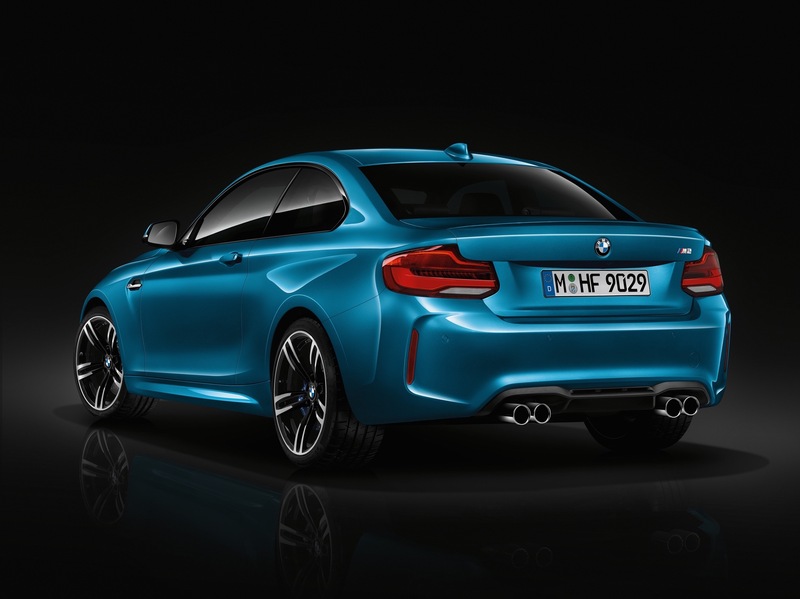 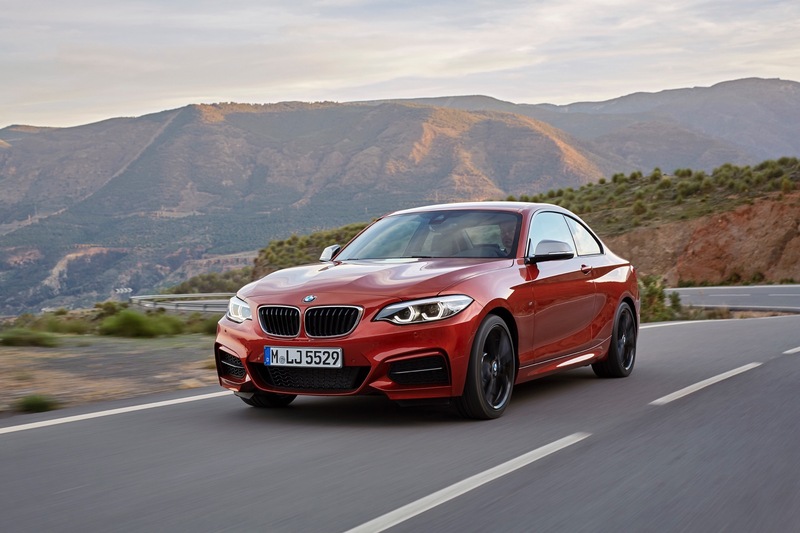 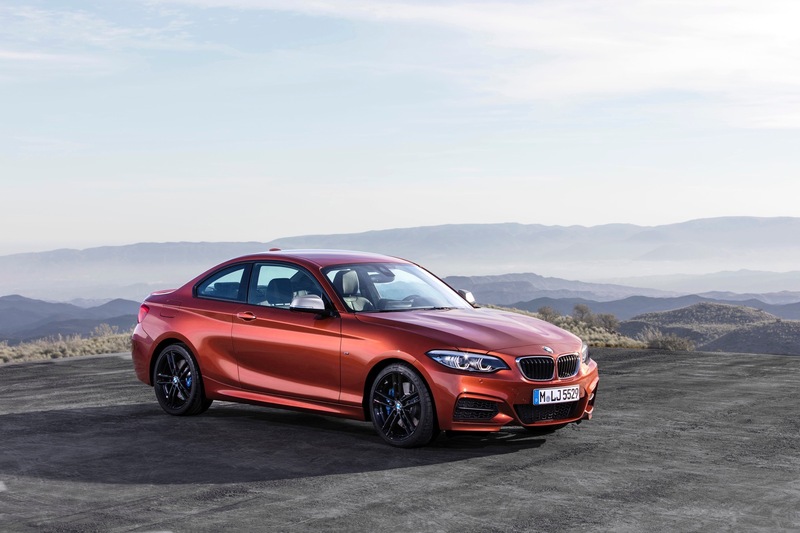 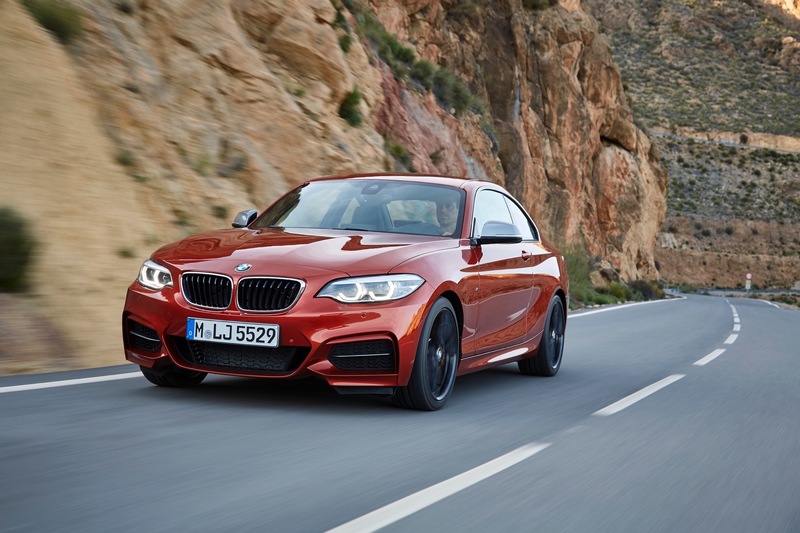 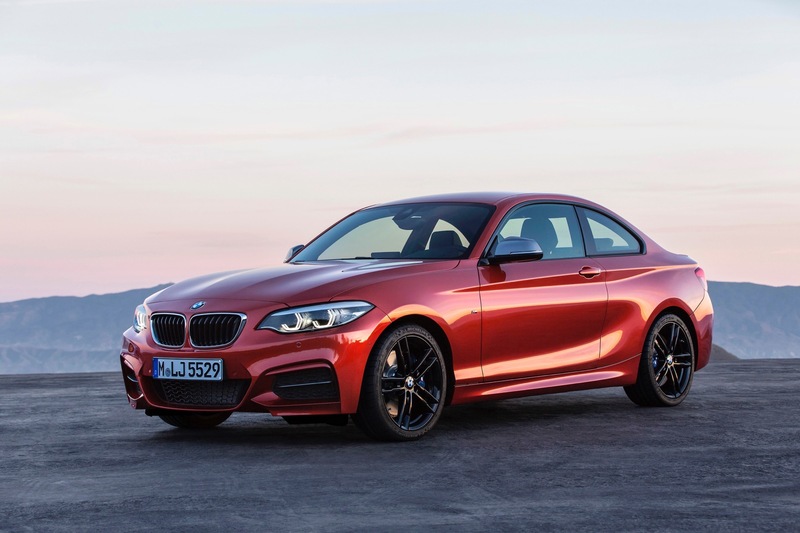 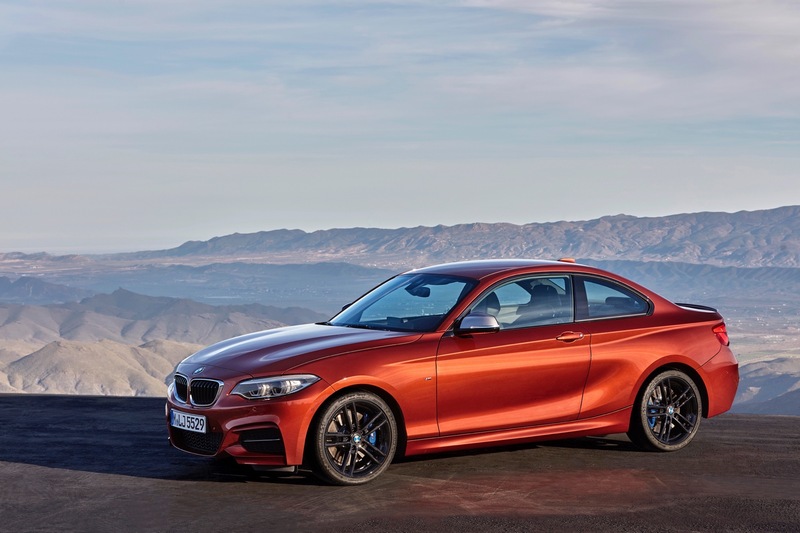 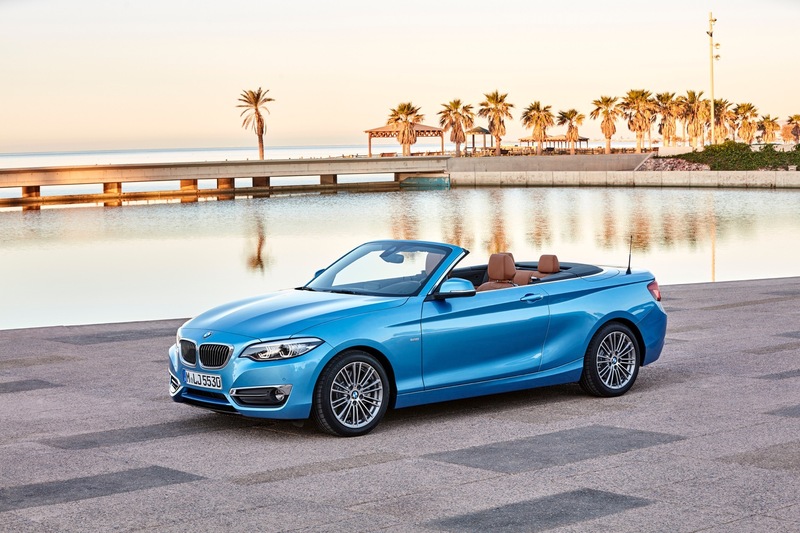 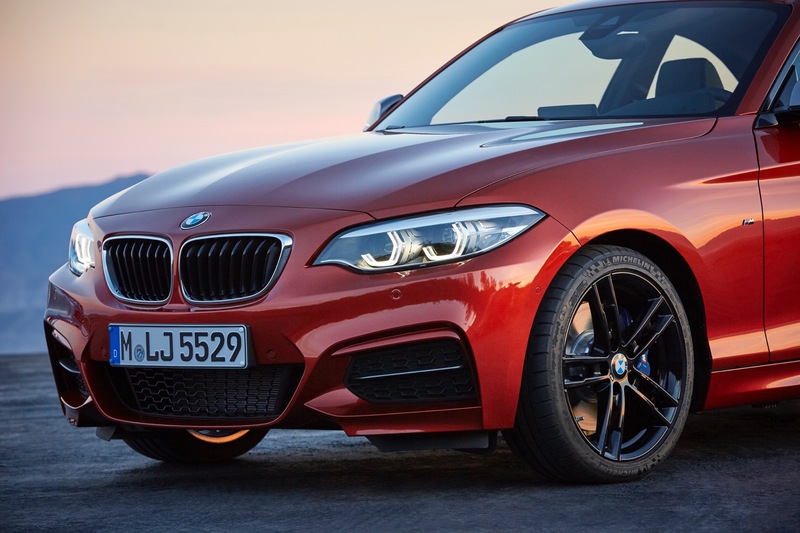 With its new facelift, the 2 Series gets a suite of exterior, interior and technology upgrades to keep it fresh throughout the rest of its lifecycle. 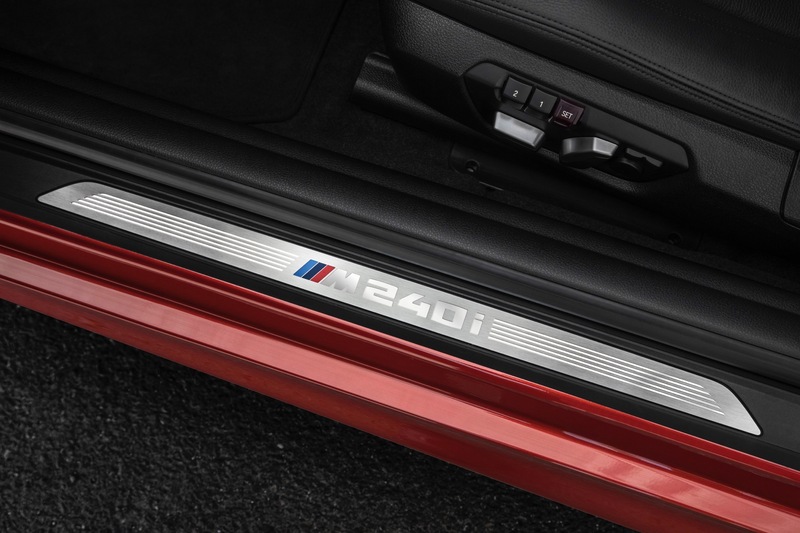 While quite subtle, they make the old pre-refresh 2 Series look dated. 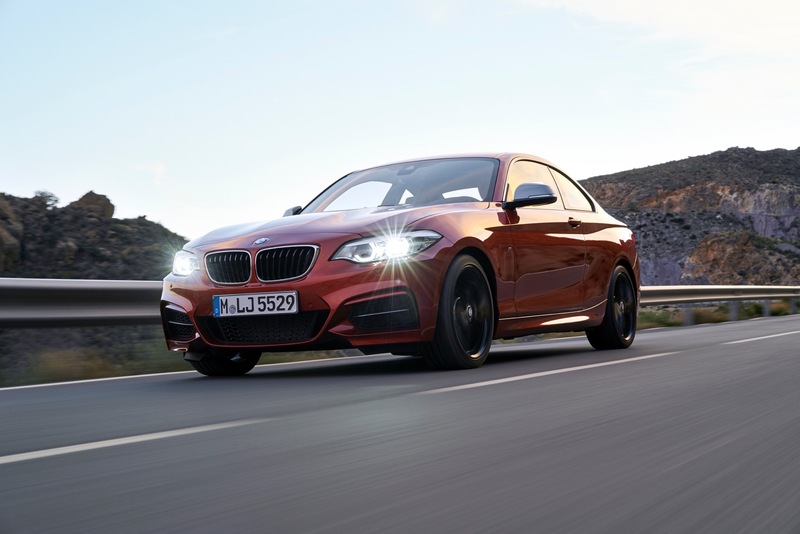 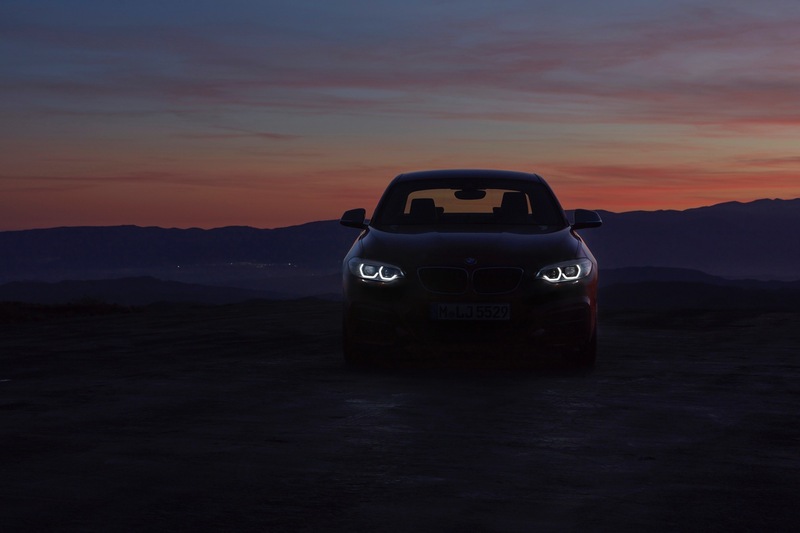 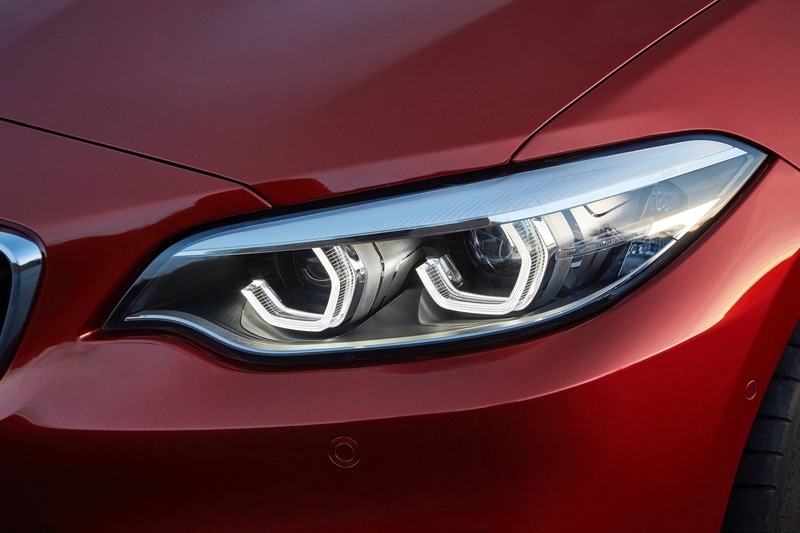 For the outside, the 2 Series gets new Bi-LED headlights as standard equipment, with full LED units as an option. 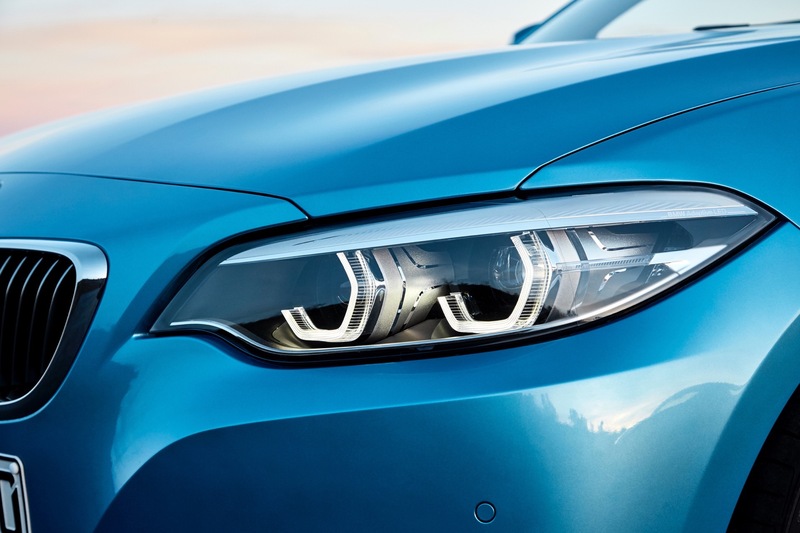 The new, full LED headlights offer a new hexagonal interpretation of BMW’s signature twin-circle design. 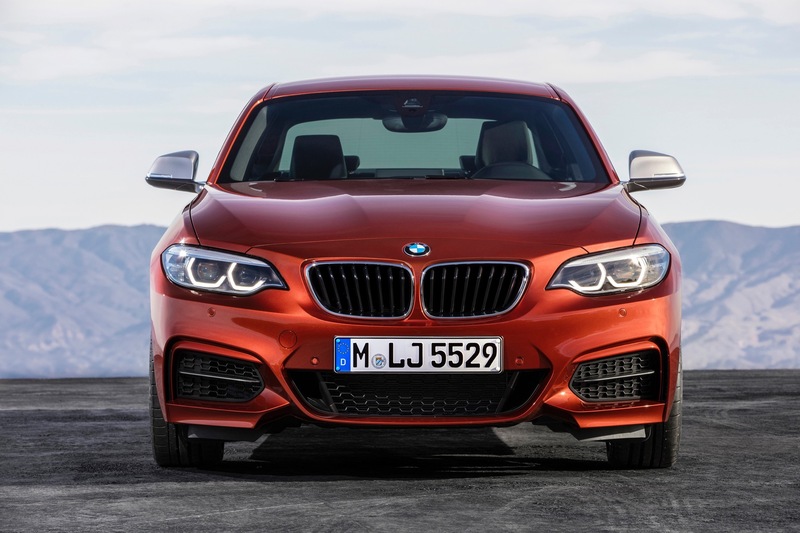 It also gets new, larger Kidney Grilles, which give it a wider and more aggressive look. 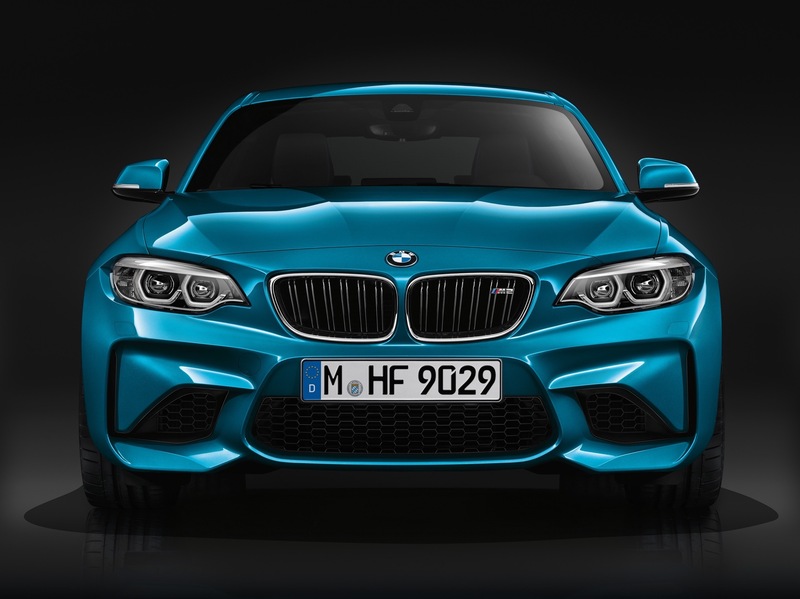 The outer air intakes on the three-section front end are also now larger, adding to the aforementioned sportiness. 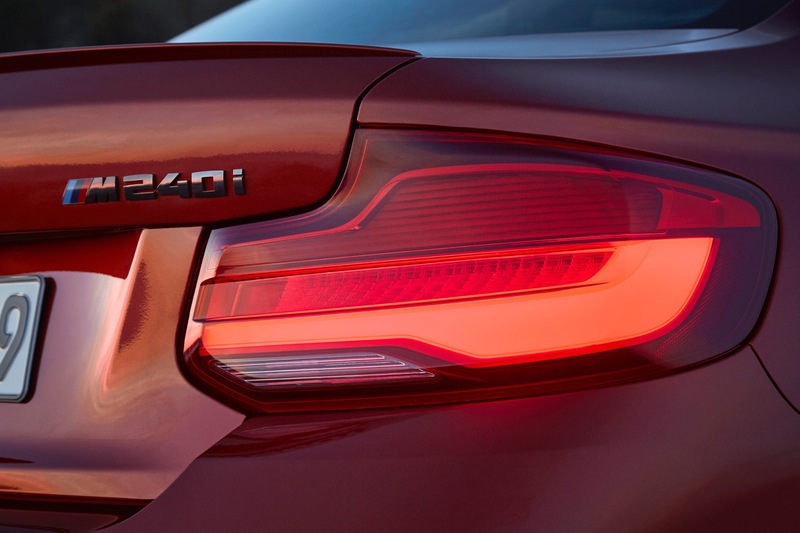 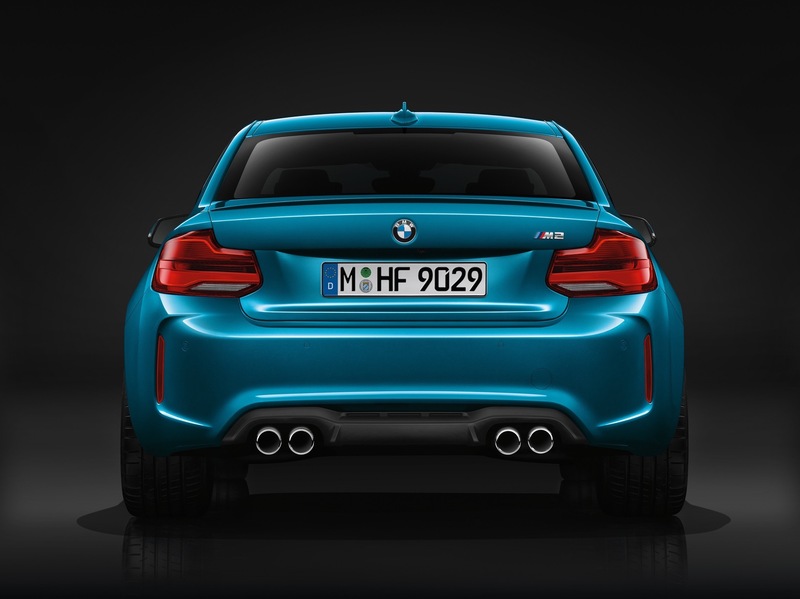 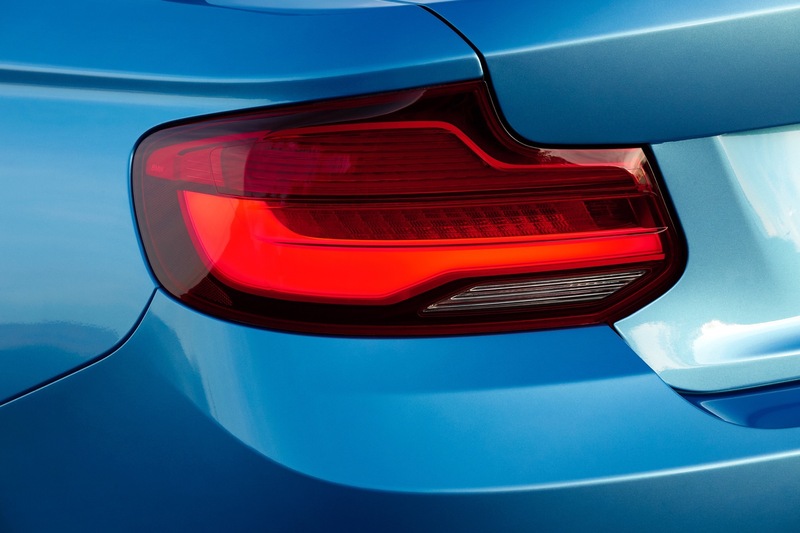 Out back, the 2 Series gets single-piece full LED taillights with BMW’s classic “L” shape. 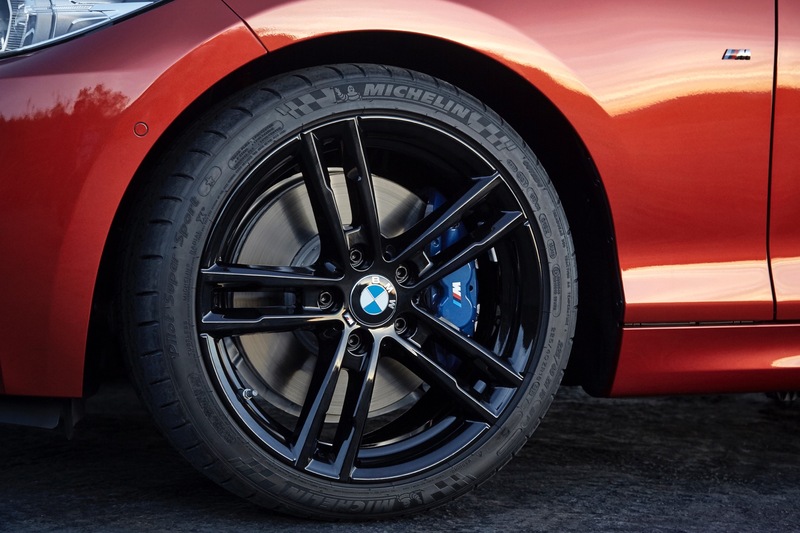 There’s also a new suite of wheel options, ranging from 17″ to 18″ and all look better than what the 2er previously had. 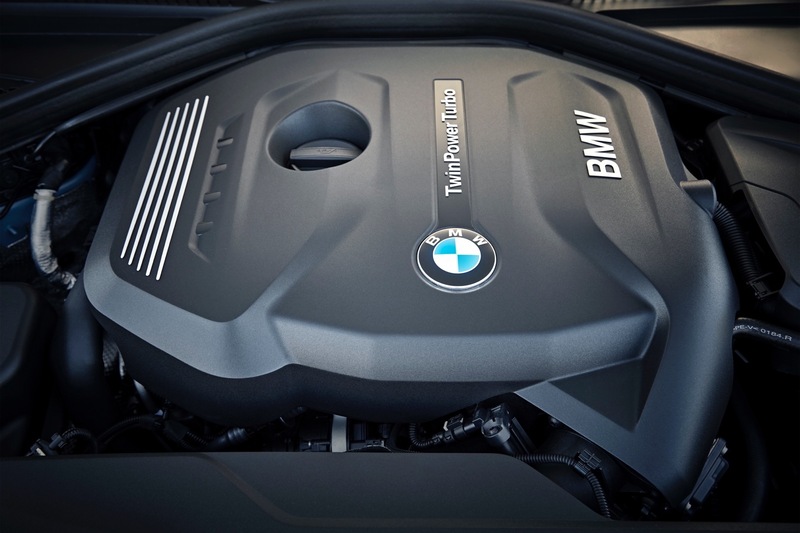 Yes, the upgrades are hard to spot at first but they do make a difference. 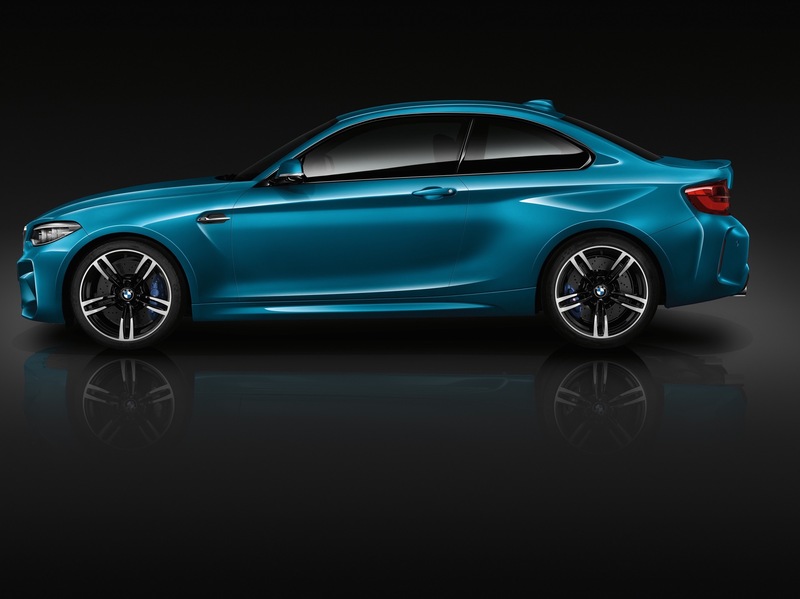 The 2 Series was always a good looking car but now it’s just a bit sharper, a bit more modern and overall looks better. 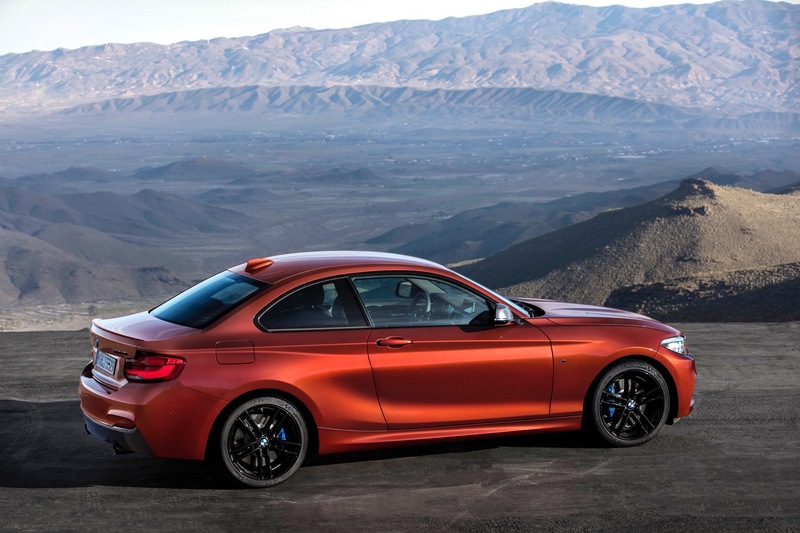 Inside, the 2 Series gets a few new touches as well. 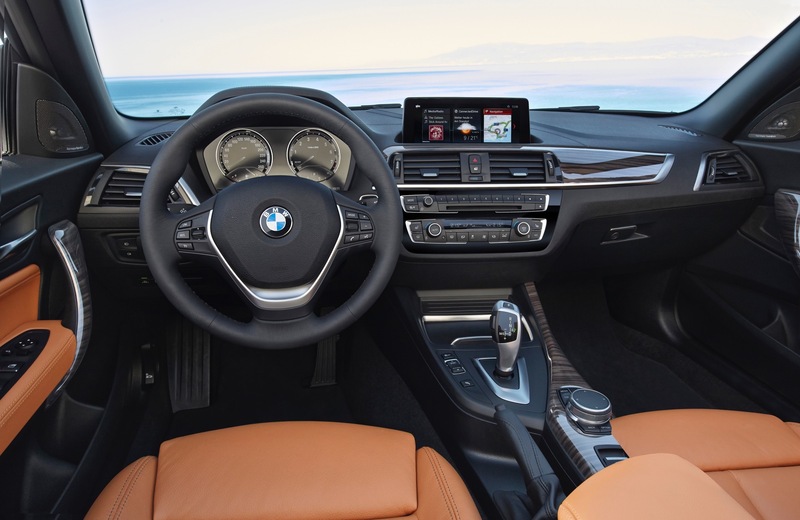 On the dashboard, slightly new trim geometry meets ever-so-slightly revised air vents but it’s hard to tell the difference. 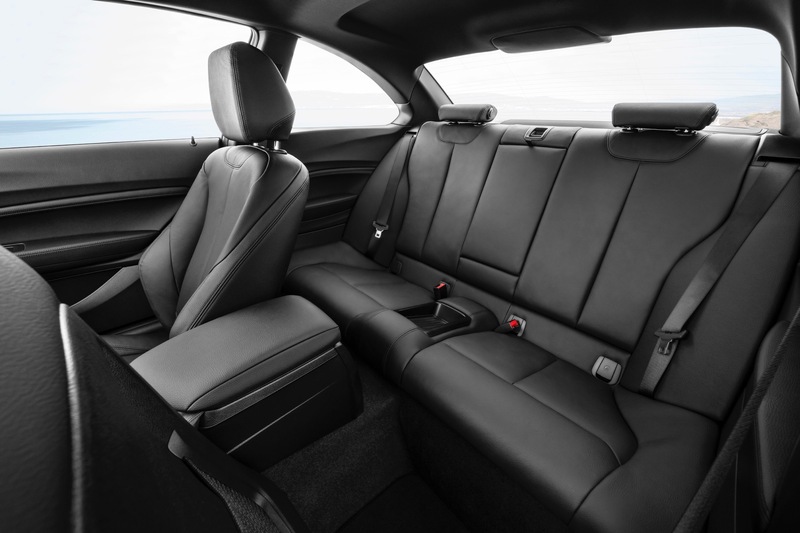 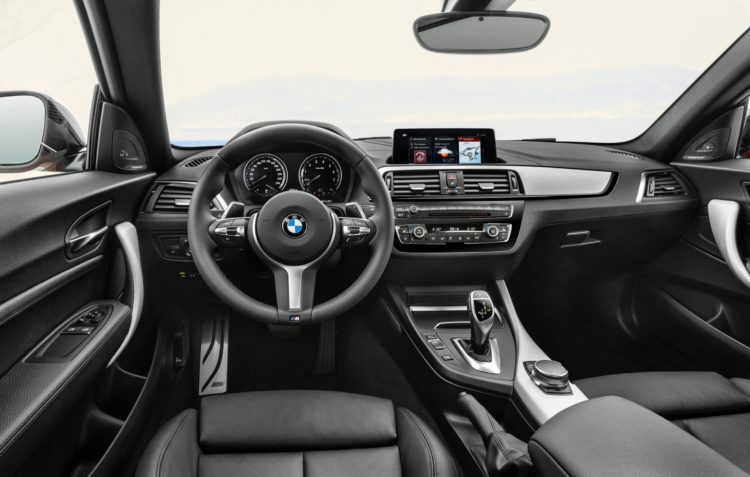 The biggest visual difference is the fact that the main dash trim starts from the center air vent stack and moves outward, rather than starting from the outer air vent and moving inward. 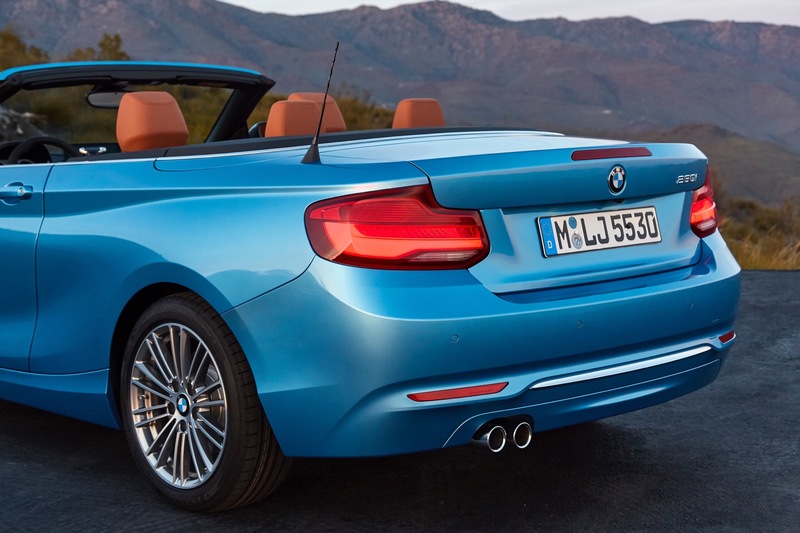 While subtle it does look better, more premium and less cheap. 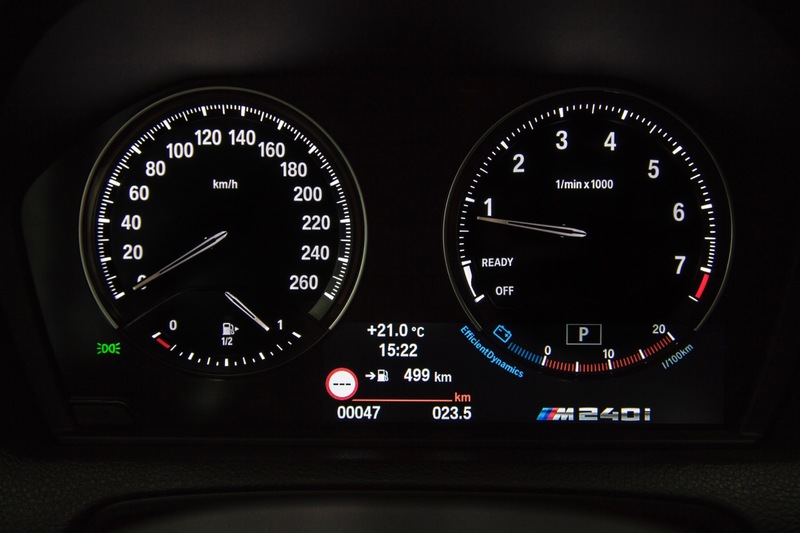 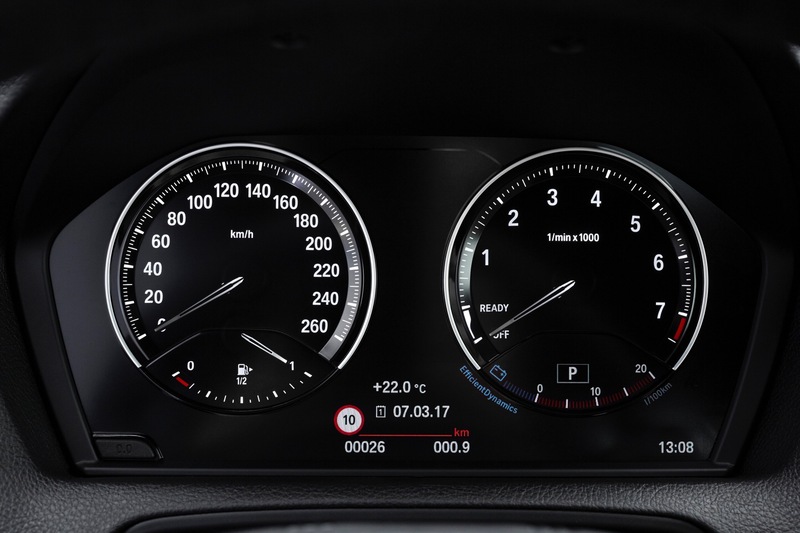 There’s also a new instrument cluster that looks more premium and features more driver-friendly information displays. 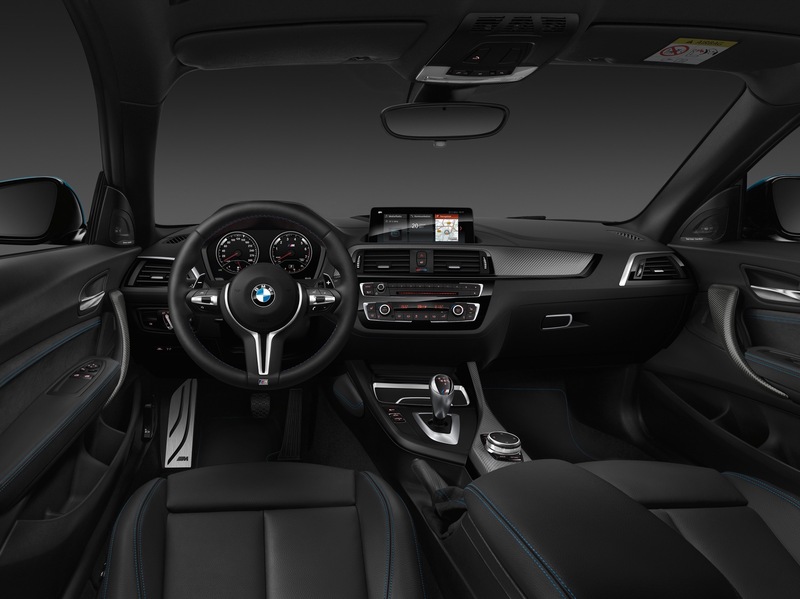 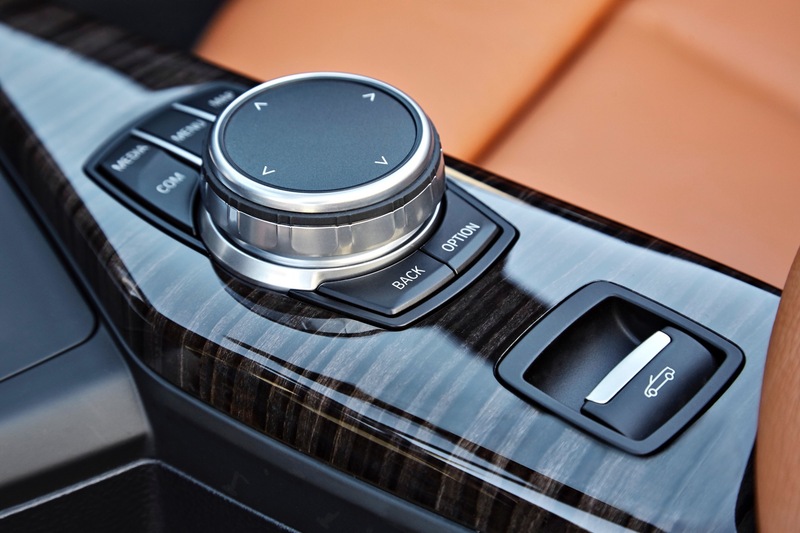 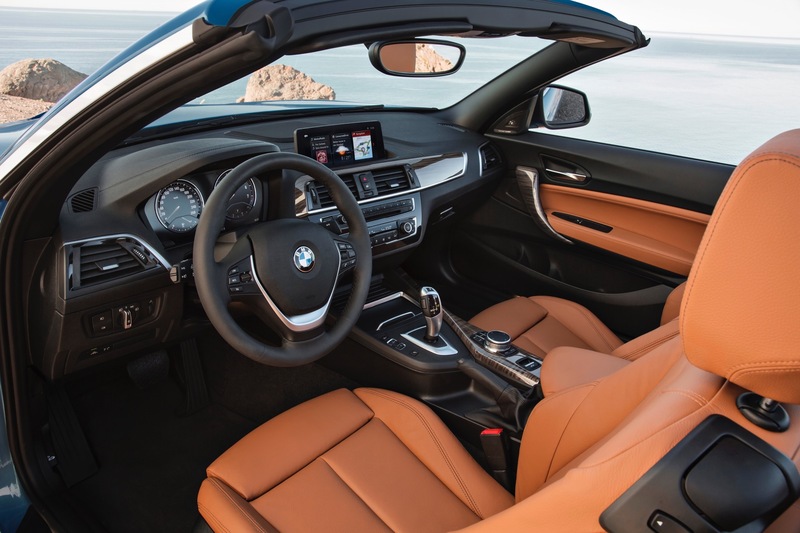 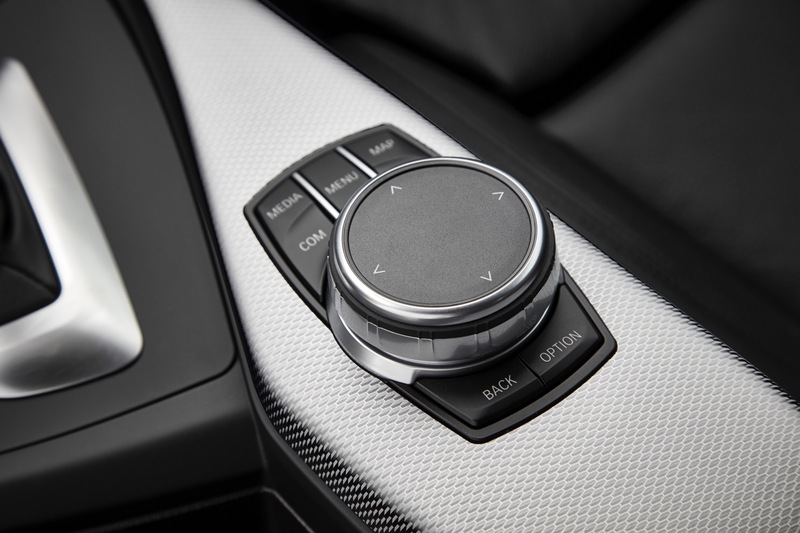 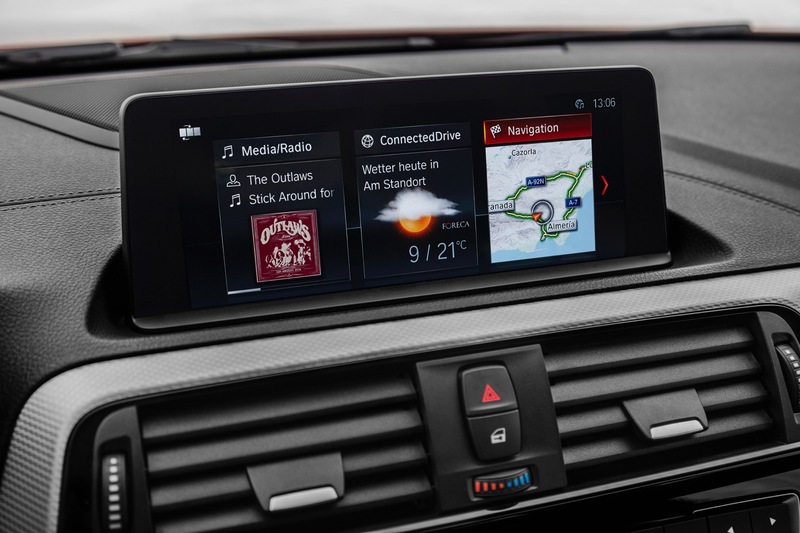 It also gets BMW’s new iDrive infotainment system, featuring the new tile-based design and touchscreen capability, if the premium nav system is optioned. 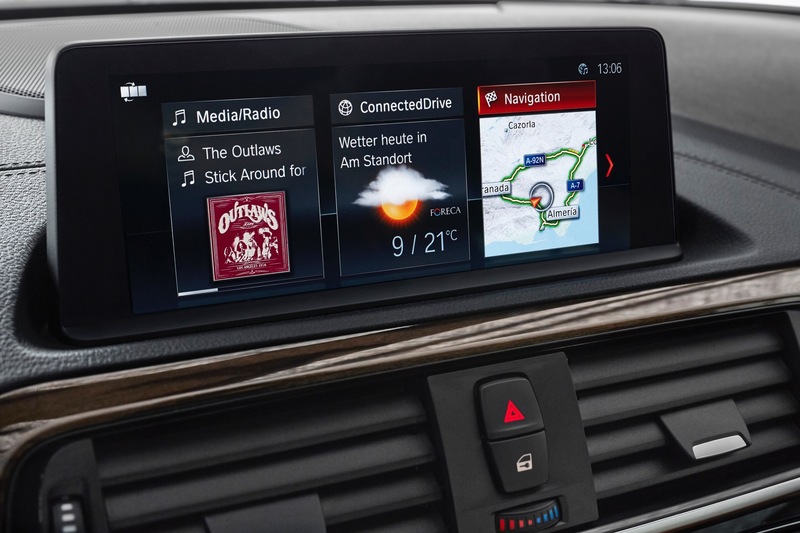 Now, the best infotainment system in the business isn’t limited to the 5 Series and 7 Series. 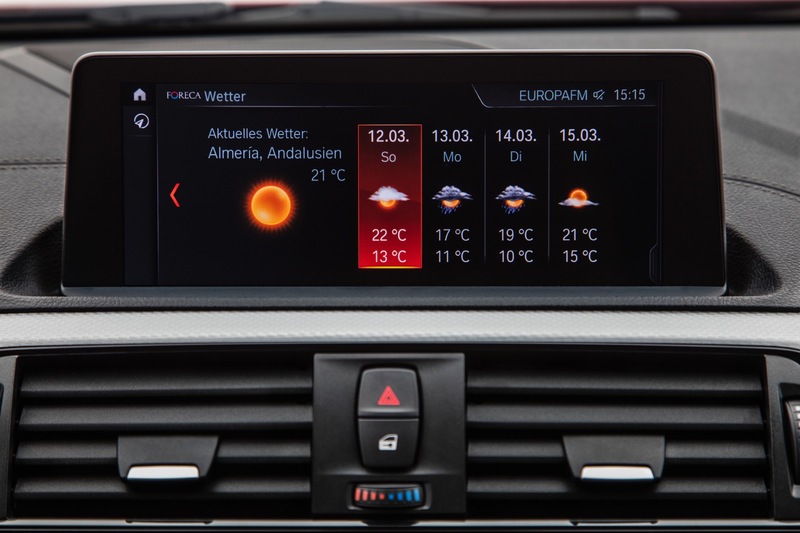 It’s actually really nice to be able to have such an advanced system in the 2 Series, the cheapest BMW. 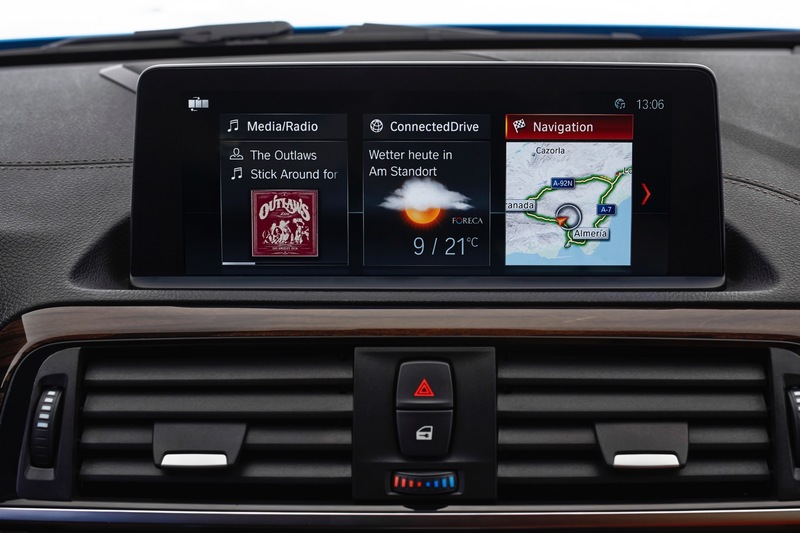 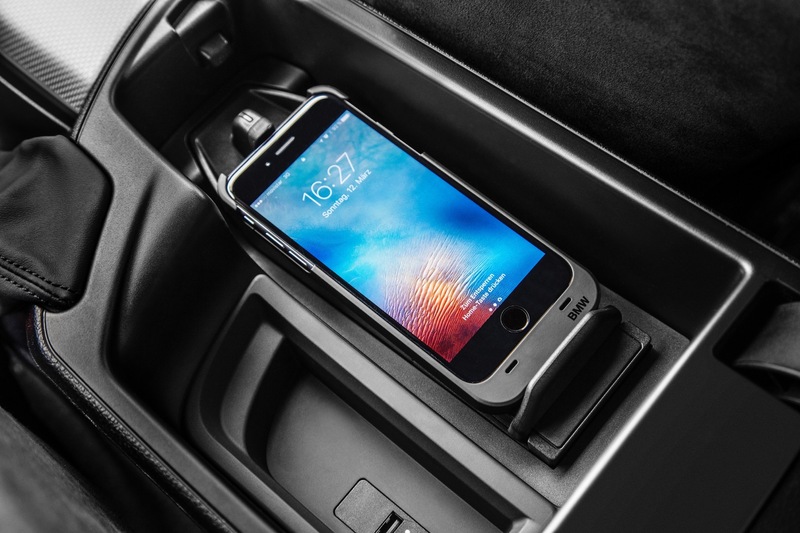 It also gets available wireless Apple CarPlay, inductive mobile phone charging and a WiFi hotspot. 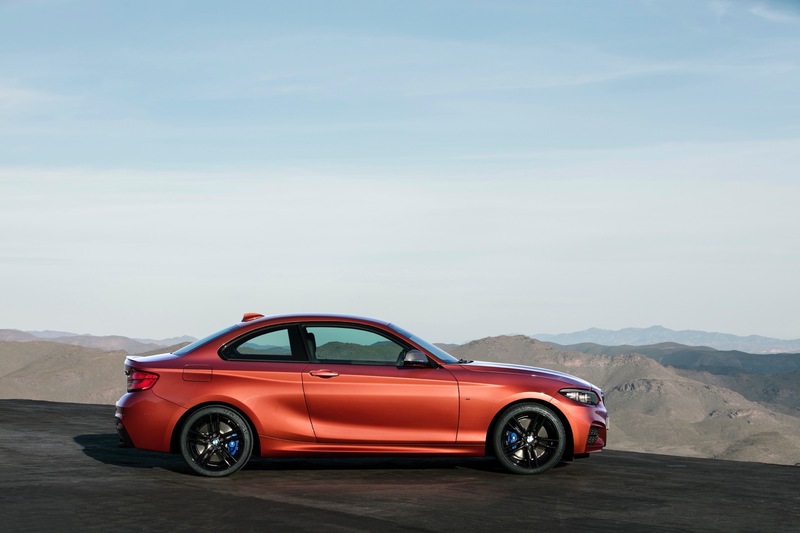 So now the 2 Series is the most high-tech car in its class. 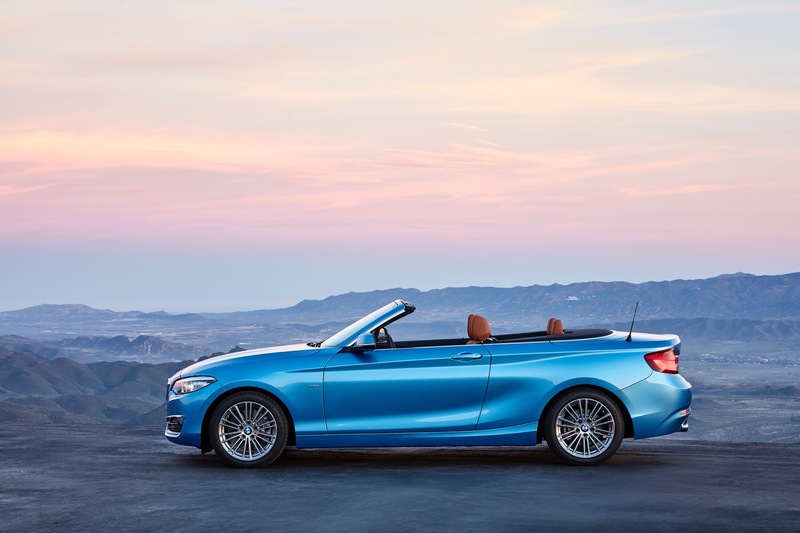 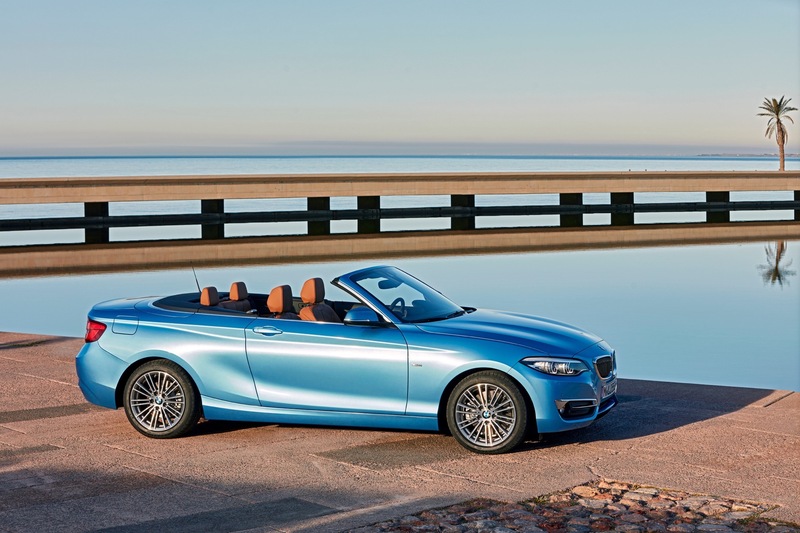 The BMW 2 Series is one of the best Bavarian cars on sale, though most enthusiasts will claim it’s the best, and it now just got better. 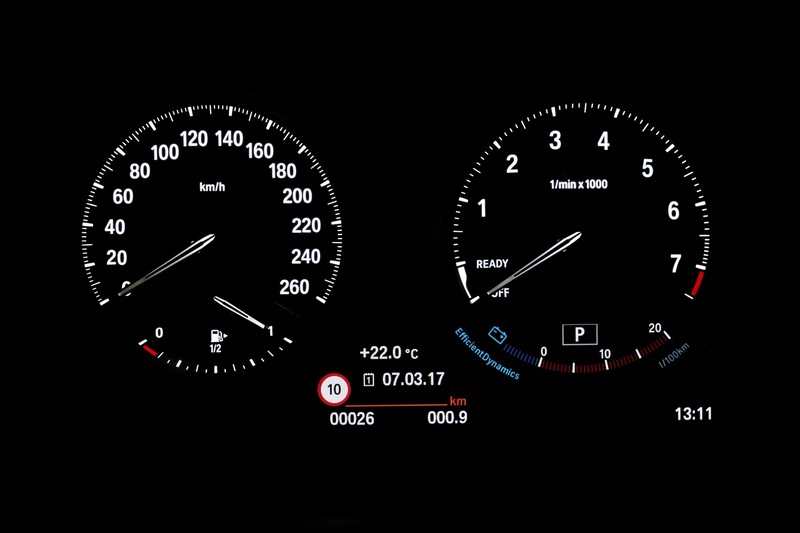 There might be complaints about its facelift’s lack of distinct changes, but there’s no denying it looks better, if only slightly. 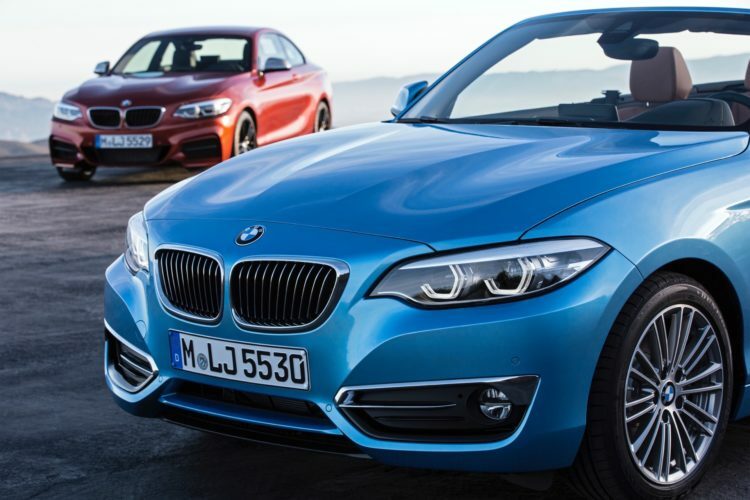 All of these upgrades are given to both the 2 Series Coupe and Convertible and both upgraded models will go on sale later this year.